“Now, brethren, concerning the coming of our Lord Jesus Christ and our gathering together to Him, we ask you, not to be soon shaken in mind or troubled, either by spirit or by word or by letter, as if from us, as though the day of Christ had come. Let no one deceive you by any means; for that Day will not come unless the falling away comes first, and the man of sin is revealed, the son of perdition, who opposes and exalts himself above all that is called God or that is worshiped, so that he sits as God in the temple of God, showing himself that he is God” (2 Thessalonians 2: 1-4). Through the years, I have researched the United Nations and the history of their association with the Occult. I have written about Alice Bailey who was the head of the Lucis Trust; originally called “The Lucifer Trust.” The United Nations and the Lucis Trust are interwoven to the point of asking “Where does one end and the other begin?” Only the very discerning will come to the point of asking that question. This article should be printed out and kept by born again believers. Why? You should print out this article for those who will be on the earth during the Tribulation period. I believe we will not be here. 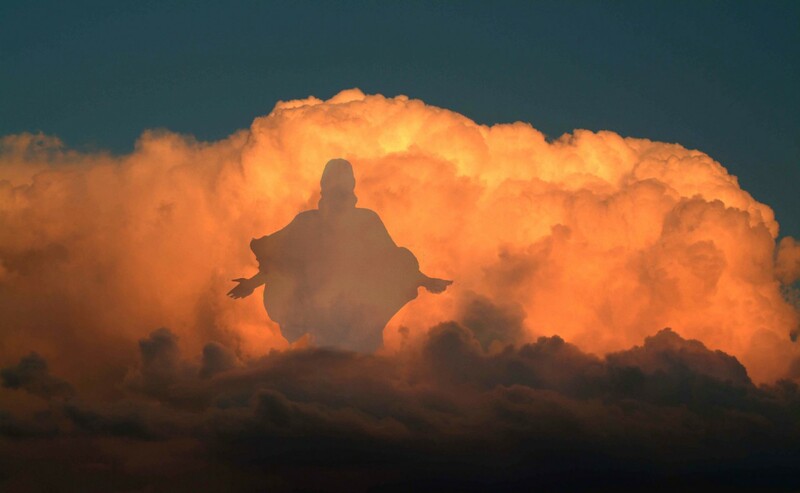 We will have been Raptured by our Lord Jesus Christ. This article should be placed with other information as to what has happened to the earth. I call this information my “Left behind” survival documents, which will spell out to those who remain when we are gone – just exactly what happened in the Rapture and the Scriptures which hopefully will open the eyes of some of our loved ones. Although these people, referred to as Tribulation saints, will experience hell on earth as they run and attempt to hide from Antichrist; their joy will be that they will know that they will be in heaven with the Lord Jesus Christ when they die. “And they cried with a loud voice, saying, “How long, O Lord, holy and true, until You judge and avenge our blood on those who dwell on the earth?” (Revelation 6:10). (The cry of the Tribulation saints around the Throne of God). Satan is also the author of confusion. I want to show the reader why I believe that most of the people on this earth after we (the body of Christ) are Raptured, will follow and worship Antichrist. The terminology used by New Agers on the coming of “The Great Teacher” jumped out at me when I was researching yesterday. Before I tell you about this terminology, I want the reader to understand that each religion speaks of “The Christ.” But do not be deceived. This is NOT our Lord Jesus Christ. This is a counterfeit “Christ” who is listed as a “Teacher or Ascended Master.” This is part of the Grand Deception. The word “Reappearance” acknowledges that there was an initial appearance, and we know that was the first coming of our Lord Jesus Christ. His return is clearly NOT what these people are describing. Our Jesus from Scripture was never called “World Teacher” nor are these people looking for Jesus Christ the Son of God. Not very subtle, is it? “Jesus answered and said to her, “If you knew the gift of God, and who it is who says to you, ‘Give Me a drink,’ you would have asked Him, and He would have given you living water.” (John 4:10) and “Jesus answered and said to her, “Whoever drinks of this water will thirst again, but whoever drinks of the water that I shall give him will never thirst. But the water that I shall give him will become in him a fountain of water springing up into everlasting life.” (John 4:13). “So also is the resurrection of the dead. The body is sown in corruption, it is raised in incorruption. It is sown in dishonor, it is raised in glory. It is sown in weakness, it is raised in power. It is sown a natural body, it is raised a spiritual body. There is a natural body, and there is a spiritual body. And so it is written, “The first man Adam became a living being.” The last Adam became a life-giving spirit” (1 Corinthians 15:42-45). The reader should notice that New Agers never speak of the sinfulness of man. “Jesus said to him, “I am the way, the truth, and the life. No one comes to the Father except through Me” (John 14:6). This Scripture definitively states that there is only One way to our Father in heaven, and that is through Jesus Christ. The uniting of religions or “ecumenism” is a lie from the pit of hell. “For if we have been united together in the likeness of His death, certainly we also shall be in the likeness of His resurrection, knowing this, that our old man was crucified with Him, that the body of sin might be done away with, that we should no longer be slaves of sin” (John 6:5-8). Opportunity? The New Age followers never speak of the problem of sin. “Then if anyone says to you, ‘Look, here is the Christ!’ or ‘There!’ do not believe it. For false christs and false prophets will rise and show great signs and wonders to deceive, if possible, even the elect. See, I have told you beforehand” (Matthew 24:23-25). When most people think of the United Nations, they think of an organization which is called upon to mediate, when countries are at odds with one another. People also believe that the U.N. intervenes in that which is considered inhumane treatment of the masses by governing authorities. But the reality is that this organization has its roots and foundation in Occultism. The intent of this article is to educate those who love the Lord Jesus Christ, and want to understand the Strong Delusion which is coming. The U.N. will be the main vehicle by which deception and delusion comes to the earth. “The United Nations is steadily becoming the center of a syncretic new world religion, a weird and diabolical convergence of New Age mysticism, pantheism, aboriginal animism, atheism, communism, socialism, Luciferian occultism, apostate Christianity, Islam, Taoism, Buddhism, and Hinduism. The devotees and apostles of this new faith include the kind of strange admixture of crystal worshipers, astrologers, radical feminists, environmentalists, Kabbalists, human potentialists, Eastern mystics, pop psychologists, and “liberal” clergymen one would normally tend to associate with the off-beat, sandals-and-beads counterculture of the 1960s. It is through our united purpose and cooperation that we can dissipate the pressing agony and anguish now existing on our planet. From direct experience of the shifting energies, it is possible to recognize that we are progressively moving toward the long awaited Aquarian Age-the Age in which we expect and look for the reappearance of the World Spiritual Teacher. This Great Being has been referred to by such names as the Christ, the Bodhisattva, the Lord Maitreya, and the Imam Mahdi. Many today realize that His interest and concern is not restricted to the field and department of religion, but is concerned with the whole of Life. He is known to be the great Lord of Love and Compassion, the Master of the Masters, the Instructor of the Angels and the “One for Whom all the nations wait.” And, this Great Being is also known under such additional titles as the True Aquarian, the Pilgrim, the Healer and the Thinker. ****They are speaking of their master Lucifer. Much work must the disciples of the world and humanity accomplish before that reappearance can become a reality. Chief among the qualities and attributes needed, is a greater degree of harmony and cooperation. With this thought in mind, representatives from various esoteric traditions have been invited to participate in a roundtable discussion in New York City on April 19th. In order to attempt true communication, we plan to be a small group of about 10 – 12 participants. All who wish to subjectively participate in this initiative are most welcome. You are also heartily invited-if you think it is appropriate and you are so inspired-to organize a similar meeting in your own local area. Below is the agenda that is being used in the New York City meeting as well as background notes that are offered as a modest preparatory aid in preparation for the meeting. All who are interested are encouraged to reflect and meditate on the agenda questions and to do individual research so that each of us can uniquely contribute to this endeavour. If you would like to hold a similar meeting in your area, feel free to use these materials or adapt and modify them to suit your needs. If you would like to share your thoughts/responses to this initiative, please send them to rocroundtable@aquaac.org. We will be pleased to consider them for the responses section below. Do feel free to share this invitation and information with others whom you think might be interested. As spiritual seekers, we know that it is the demand of the world disciples that will bring in that which the world needs. Let us then together do our “whole duty” in the work of preparation for our long awaited and beloved World Teacher, thus doing our part to insure the restoration of the Plan of Love and Light on Earth. The World Teacher is that Great Being Whom the Christian calls the Christ; He is known also in the Orient as the Bodhisattva, and as the Lord Maitreya, and is the One looked for by the devout Mohammedan, under the name of the Iman Madhi. He it is Who has presided over the destinies of life since about 600 BC and He it is Who has come out among men before, and Who is again looked for. He is the great Lord of Love and of Compassion, just as his predecessor, the Buddha, was the Lord of Wisdom. Through Him flows the energy of the second aspect, reaching Him direct from the heart centre of the Planetary Logos via the heart of Sanat Kumara. He works by means of a meditation centred within the heart. He is the World Teacher, the Master of the Masters, and the Instructor of the Angels, and to Him is committed the guidance of the spiritual destinies of men, and the development of the realisation within each human being that he is a child of God and a son of the Most High.Just as the Manu is occupied with the providing of the type and forms through which consciousness can evolve and gather experience, thus making existence in its deepest sense possible, so the World Teacher directs that indwelling consciousness in its life or spirit aspect, seeking to energise it within the form so that, in due course of time, that form can be discarded and the liberated spirit return whence it came. Ever since He left the earth, as related with approximate accuracy in the Bible story (though with much error in detail) has He stayed with the sons of men; never has He really gone, but only in appearance, and in a physical body. He can be found by those who know the way, dwelling in the Himalayas, and working in close co-operation with His two great Brothers, the Manu and the Mahachohan. Daily He pours out His blessing on the world, and daily He stands under the great pine in His garden at the sunset hour with hands uplifted in blessing over all those who truly and earnestly seek to aspire. To Him all seekers are known, and, though they may remain unaware of Him, the light which He pours forth stimulates their desire, fosters the spark of struggling life and spurs on the aspirant until the momentous day dawns when they stand face to face with the One Who by being “lifted up” (occultly understood) is drawing all men unto Himself as the Initiator of the sacred mysteries. Recognizing the interrelated oneness of humanity, and indeed of all life, the Aquarian Age Community is a pledged point of synthesis, resonating to the Aquarian keynote, “Water of Life Am I Poured Forth for Thirsty Men.” Responding to the Aquarian energies of universality, synthesis and loving understanding, it recognizes the spiritual destiny of Humanity and the divine potential at the heart of every individual. In keeping with the resonance of the new age, the Aquarian Age Community is first and foremost a subjective community, seeking alignment and identification with all Spiritual Beings who inspire the evolution of life on planet Earth. All who strive to better understand the new spiritual energies pouring into our planet and integrate them into daily living are a recognized part of the community. As a not-for-profit educational community, it supports the restoration of the Spiritual Mysteries and the transformation of human consciousness. The Ageless Wisdom tells us that we live in a time of unprecedented opportunity. The dawning of the greater and lesser cycles of Aquarius have been awaited by the Hierarchy of Light and Love—the Masters of the Wisdom, the Teachers of humanity—for untold millennia. It is a time when millions within our human family will have the opportunity to make a leap in consciousness, realize their spiritual potential and actively cooperate in the restoration of the Plan of Love and Light on our planet. That Plan includes the externalization of the Soul—the inner divine principle at the heart of all life, the product of the union between spirit and matter. When the Soul is freed or resurrected from the matter in which it is encased, then will we know without a doubt that all life is in fact interdependent, interconnected and whole. Then, will we truly understand and live by the spiritual values of liberty, fraternity and equality. In support of that externalization process, the Aquarian Age Community. Cooperates and collaborates with the worldwide community that is actively preparing the way for the reappearance of the World Teacher—the Christed (Anointed) One, the true Aquarian. Cooperatively participates in the unveiling of the Spiritual Mysteries. Promotes the evolution of human consciousness by advocating such new age sciences as the science of meditation, the science of the Antahkarana—bridging consciousness, and the science of service. Encourages the activation and mobilization of the will-to-good as it sounds the Aquarian keynotes of JOY and RESURRECTION. Promotes the work of the United Nations as it seeks to uplift and improve all life on our planet. Lucis Trust: The Spiritual Foundation of the U.N.
At one time, the Lucis Trust office in New York was located at 666 United Nations Plaza and is a member of the Economic and Social Council of the United Nations under a slick program called “World Goodwill”. In an Alice Bailey book called “Education for a New Age”; she suggests that in the new age “World Citizenship should be the goal of the enlightened, with a world federation and a world brain.” In other words – a One World Government New World Order. Luci’s Trust is sponsored by among others Robert McNamara, former minister of Defense in the USA, president of the World Bank, member of the Rockefeller Foundation, and Thomas Watson (IBM, former ambassador in Moscow). “Within the United Nations is the germ and seed of a great international and meditating, reflective group – a group of thinking and informed men and women in whose hands lies the destiny of humanity. To this end, the Lucis Trust, under the leadership of Foster and Alice Bailey, started a group called ‘World Goodwill’ – an official non-governmental organization within the United Nations. “…a weird and diabolical convergence of New Age mysticism, pantheism, aboriginal animism atheism, communism, socialism, Luciferian occultism, apostate Christianity, Islam, Taoism, Buddhism, and Hinduism”. At http://www.lucistrust.org you can find out much more about them and how they’re involved with the work of the United Nations by following their link “World Goodwill” at the top of their home page. Brethren, I know that there is a lot of information in this article. As I said in the beginning, I am focused on those who are left on the earth during the time the Bible calls the Tribulation. 3 1/2 years into the seven year Tribulation period will be the Great Tribulation or the Time of Jacob’s Trouble. God will deal with His people Israel during that period of time for their redemption. I believe that the convergence of events happening in the world right now shows us that we are very close to the Rapture of the body of Christ. I believe that the removal of the church will be the trigger which begins the Tribulation. Share the Gospel with friends and loved ones while there is still time. Please print out this article and keep it with other “Left behind” materials for those who are not Raptured. Write a personal “Left behind” letter to your family and friends which explains your disappearance and expresses to the reader how critically important it is for them to repent and trust the Lord Jesus for their salvation. Ask the Lord to help you to write your letter. We must make those left behind understand that the man who is promising “peace and security” is indwelled by the devil himself. This is one of the most important things you will ever do. Hi Geri if I can go off topic but another loved one has died could you please pray for me and my family this will be the 3rd funeral this year and the Lord is giving me the opportunity to share the Gospel at the funeral so could you please pray for me that I don’t want to stutter while sharing the Gospel. I am praying for you and that the people with whom you share the Gospel will have their eyes opened by the Lord to His Truth.